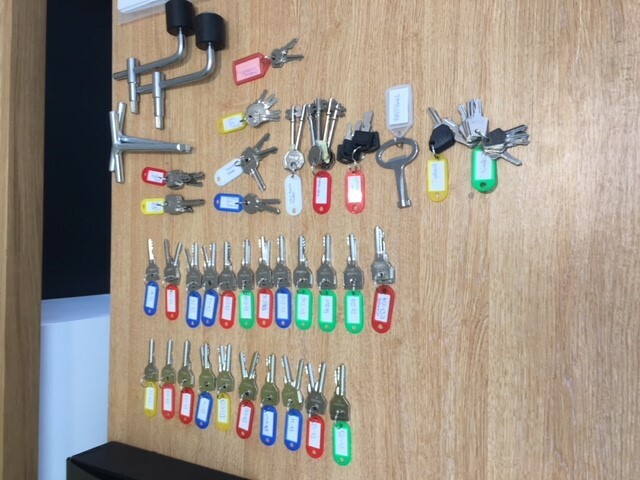 These shiny new keys symbolise the end of a 7 year journey and the beginning of a new era for Craigsfarm Community Development Project (CFCDP) and the Craigshill community. The team at Indigo is proud to have been part of this journey which began back in 2011 when we successfully tendered to deliver a sustainability plan for Craigsfarm on behalf of CFCDP and West Lothian Council. Craigsfarm, a community centre at the heart of Craigshill in Livingston, had been threatened with closure as a result of local authority cuts but was thrown a lifeline thanks to the passion of the locals, who were committed to saving a building that had played a crucial role in community life since the 1960s. A building that had been partially built by hand by the community on the basis of what the community needed – a launderette, nearly new shop and café to name but a few. Little did we know that what appeared to be a short term project, lasting a matter of months, would lead us to 2018 and the opening of a modern and vibrant new community Hub on the site of the old farm. Not only that, the building is now owned by the local community as a result of a successful asset transfer from West Lothian Council, one of the first under the Community Empowerment Act 2015. The proposition wasn’t a simple one; the building wasn’t fit for purpose and was costly to maintain and operations were heavily subsidised by the local authority, but the community wanted and needed it to remain open. So began a process of community consultation and engagement, feasibility testing, working with design professionals, business planning and fundraising which we undertook alongside business development and activities to increase footfall and efficiencies within the old building. There isn’t enough space on the page to convey the details of what enfolded over the years which involved many highs and lows; at one point it looked like the project couldn’t proceed. What we can say is that we have a learned a huge amount over the last 7 years, met some amazing people who have been crucial in moving this project forward, and increased our knowledge of community ownership, asbestos, value engineering, capital tendering processes and toilet roll holders. We are now looking forward to sitting down and enjoying a cup of coffee in the new café!